Plumber Vallejo, CA | A+ Waterworks, Inc.
A good plumber in Vallejo, CA knows that the plumbing system is an integral part of your home, and it’s something you depend on to perform your daily tasks. That’s why keeping it in tip-top shape should be among your top priorities. This raises the question: how are you going to do it? It’s tempting to fix your home plumbing problems yourself, but it’s still best to call a professional plumber in Vallejo, California. A+ Waterworks is a locally owned and operated plumbing company in the North Bay area of California that services surrounding towns such as Vallejo. We specialize in plumbing, fire system, and sanitation services around Vallejo, CA. Whether you need help with installing new plumbing or repairing leaky pipes, you can rely on our exceptional plumber in Vallejo, CA to get it done. Professional plumbers in Vallejo, California are experienced in plumbing systems. 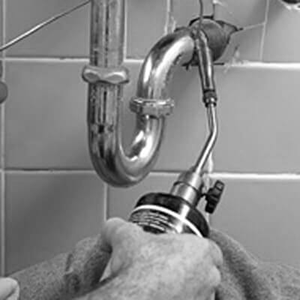 The skills of our professional plumbers in Vallejo, CA have been honed by years of experience. At A+ Waterworks, we further ensure top-quality results by investing in the training of our plumber in Vallejo, CA. We service the Vallejo, CA district by the unclogging of drains to installation of pipes, our work is executed with dedication and skill all while keeping the satisfaction of our clients in mind. Professional plumbers in Vallejo, CA will use the proper tools and products. If you attempt to fix your home’s plumbing issues on your own, you have to worry about having the necessary equipment for the job. This won’t be the case when you hire a professional plumber in Vallejo, CA. At the appointed date and time, our plumbers in Vallejo, CA will arrive at your location with the right tools and materials. This means you don’t have to brave the aisles of hardware stores and hope you pick the right plumbing products. When you hire a professional plumber in Vallejo, CA, you get to save money and time, both of which you can spend on other home maintenance requirements. Emergency leaks and other unexpected plumbing issues can cause water damage to your property. You can avoid this when you hire a professional plumber in Vallejo, CA. Our licensed plumbers in Vallejo, CA can serve suburban and commercial plumbing clients 24 hours a day and 7 days a week. In case you’re faced with an unexpected plumbing hurdle, our plumber in Vallejo, CA is just a call away. Professional plumbers in Vallejo, CA can protect your property. Before your property suffers from extensive water damage, a professional plumber in Vallejo, CA can perform preventive maintenance. By detecting and solving plumbing problems early, a plumber in Vallejo, CA can save your property from further damage. You also get spared from additional extensive repairs that can be costly. Professional plumbers in Vallejo, CA offers other services. When you hire a professional plumber in Vallejo, CA, you’re given access to a wide range of services. These include repair, maintenance, and installation of plumbing systems. A professional plumber in Vallejo, CA can also replace old pipes and identify drainage system parts that are prone to breaking. At A+ Waterworks, we are dedicated to our craft and the satisfaction of our plumbing clients. Our plumber in Vallejo, CA will deliver optimal results and keep your plumbing system in working order. To learn more about our plumbers in Vallejo, CA, visit our website at www.apluswaterworks.com. A piece of real estate in Vallejo, CA is one of the biggest, most important assets we can acquire. Any repair or modification made to it should be of the highest quality to ensure the security of our finances. When it comes to professional plumbing, fire system installation, and sanitation services in Vallejo, CA for suburban and commercial clients, turn to A+ Waterworks. We have been serving the North Bay area of California since 1994 and have been hailed as one of the best in the industry. Our services around Vallejo, CA are available to clients 24 hours a day, seven days a week. Whether it’s a small leak in your sink at 2 in the morning, or a total overhaul of your plumbing system at a scheduled time, A+ Waterworks is ready to give you A+ service! Efficient plumbing, drainage, and fire prevention systems are very important in securing your home in Vallejo, CA. Whether you’re a humble owner of a small house or a proud entrepreneur running a large factory, these systems are indispensible. As such, it would be very beneficial to learn updated facts about them. For more information about proper plumbing, fire prevention, and drainage, visit our resources page.